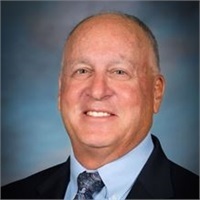 Charles M. Noparstak | Equitrust Financial Group, Ltd.
Charles M. Noparstak combines more than 25 years of portfolio management experience helping his clients to pursue their dream to retire with dignity, maintaining their lifestyle and leaving a financial legacy. Chuck holds the designation of CFP, Certified Financial Planner. He graduated from the University of Illinois, Chicago, with a bachelor's degree in psychology. Outside the office, Chuck currently sits on the board of the American Midwest Committee of the Weizmann Institute of Sciences. He enjoys golf, tennis, reading and spending time with his wife and two children.